Harnessing up to 420 lb-ft of torque for a 10,620-pound maximum tow rating, 1,880-pound maximum payload, best-in-class 29 mpg highway, and maximum highway driving range of up to 754 miles, the Ram 1500 is one of the most beloved half-ton trucks available. Our range of lease deals allows drivers to combine the Ram 1500’s leading performance with added incentives. The advantages of leasing over buying go further when you’re looking at a half-ton truck instead of a sedan, hatchback, or even an SUV. Advances make a real difference for payload, trailering, and off-road capability, and the latest engines tend to be more efficient. Leasing never sees you drop too far behind since you can upgrade every few years. Trucks are also put through more rough-and-ready use, so bumper-to-bumper coverage should appeal, and leasing helps take the sting out of higher prices by reducing both your monthly payments and your down payment. 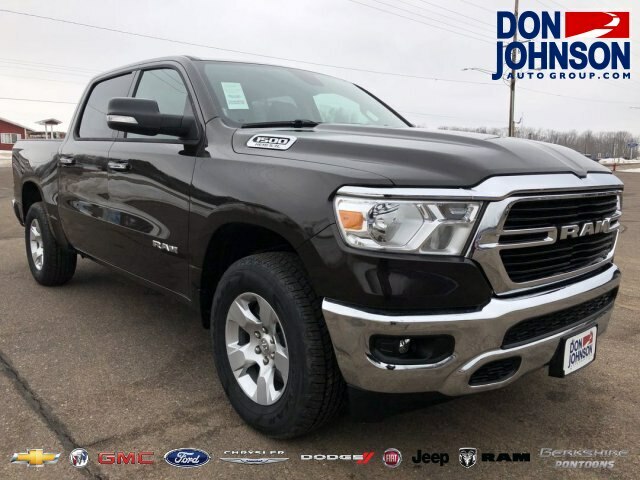 Don Johnson Motors has locations to serve customers across Rice Lake, Hayward, and Cumberland, so visit your local dealership today to further explore our Ram 1500 lease deals.